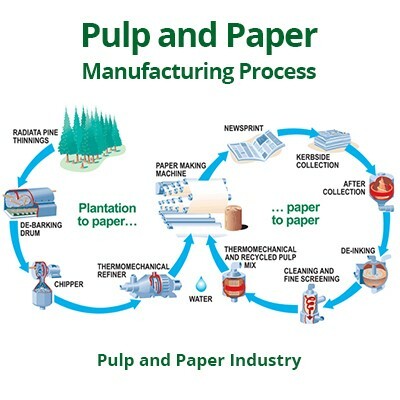 The pulp and paper industry is one of the largest industrial sectors in the global marketplace. The industry manufactures a wide range of commercial paper products, including tissue paper, glossy paper, catalog paper, drawing paper, cards, newspapers, etc. To make paper from trees, the raw wood must first be turned into pulp. The industry utilizes a variety of industrial processes to convert wood into pulp. Mechanical pulping involves using machines to grind wood chips into pulp. This method creates weak paper most suitable for newsprint, phone books, and other forms of low-strength paper. The more commonly used method is chemical pulping, also known as kraft, which makes stronger paper. Depending on what type of paper is desired, the pulp mixture might need to be bleached to create white (or a lighter color) paper. This is done by using a variety of chemicals to bleach pulp to the color that is needed. Next, the enormous machines spray the wet, pulp mixture onto moving mesh screens to make a layered mat. This is done to remove the water and dry it out. Finally, the mat is run through heated rollers to squeeze out any remaining water and compresses it into one continuous roll of paper. These rolls can be up to 30 feet wide. Industrial insulation can improve plant performance by using the correct insulation systems. High-temperature production processes are common in the paper industry and can lead to increased energy consumption. The large industrial facility consists of boilers, turbines, steam systems, valves, pumps, and other surfaces that require an energy conserving insulation material. While we cannot identify every insulation option, there are a few we can focus on. Mechanical piping systems that are moving material through the manufacturing process is one area that benefits from fabricated insulation. Want to learn more about choosing the correct fabricated insulation for mechanical piping applications? Download our free, “Fabricated Pipe Insulation guide” here. Other industrial processes may require customized insulation. For example, machines and irregular, complex equipment can benefit from using removable insulation blankets. These blankets are a popular, cost-effective, and energy conserving insulating material option for pulp and paper plants. 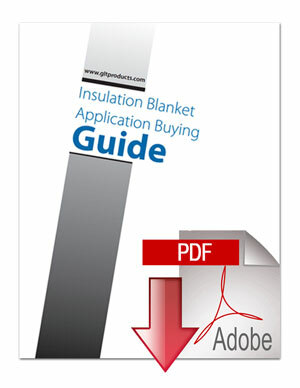 To learn more about removable insulation blankets, download our free “Insulation Blanket Application Buying guide” here. What are the components of insulation blankets? Download this handy PDF reference guide to learn everything you need to know about removable insulation blankets. Download your FREE guide now to get exclusive information! DOWNLOAD HERE. 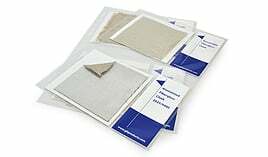 If you need to examine one of our high temperature fabrics before purchase, request a sample today.